Quite a tattoo. Let’s all agree: no one should like ALF this much. Although, apparently, the Germans do. 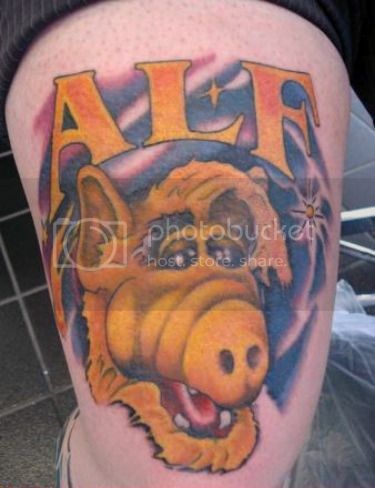 Not just “I’m going to permanently tattoo ALF’s face into my leg” like him, but “let’s release an ALF movie into theaters” like him. Yikes, Germany.